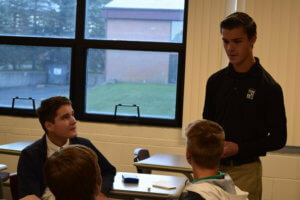 This past week Everest Academy eighth-grade students participated in EC Shadow Day. They had the opportunity to experience all of the benefits of an Everest Collegiate High School education first-hand. 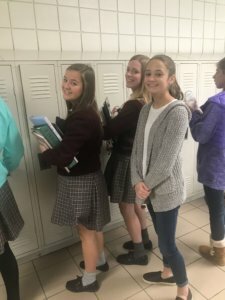 Eighth graders were paired up with a current EC student and followed their schedule to all of their classes. The eighth graders also enjoyed cider and donuts and lunch together. 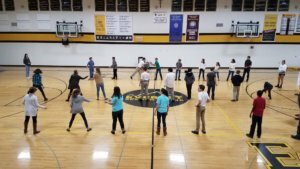 The end of the day was capped off with a fun student assembly led by the EC student government. Each student also received a class t-shirt as the future mountaineer Class of 2023.